Take your party to Biscayne Bay on this 60-minute dance cruise in Miami. At night, admire the stunning city skyline as you sail from Bayside Marketplace to Miami Beach and back. 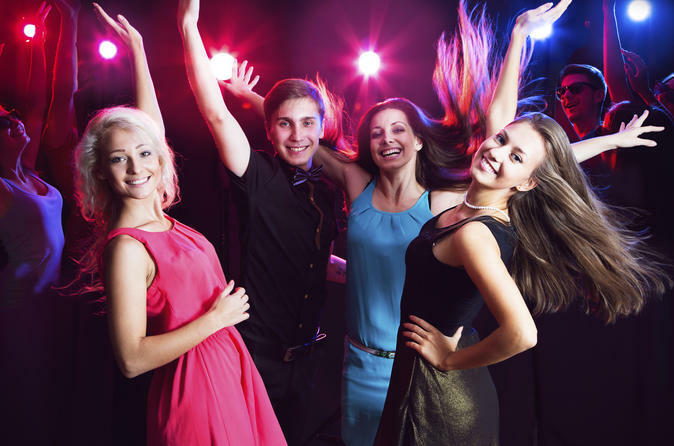 Sling hips to tunes spun by a professional DJ, ranging from the hottest club hits to favorites from various musical styles, giving everyone in your family or circle of friends something to dance about. This family-friendly, one-of-a-kind party has no age minimum, so revelers of all ages are welcome! Find one of the best parties in town on the bay. Board your party boat at Bayside Marketplace in downtown Miami. During the 60-minute ride through Biscayne Bay, a professional DJ spins the latest club hits and favorites from a variety of genres, so everyone will have something to groove to under the stars. Watch the spectacular Miami skyline as the boat glides through the bay, into Government Cut, to the southern tip of Miami Beach. Rock the night on your choice of two dance floors: the open-air top deck covered by an awning to shield you from any drizzle, or the deck below, completely enclosed with air-conditioned comfort. Thirsty from all the dancing or need a snack? Hit the full cash bar selling beer, wine, premium beverages, soft drinks, as well as chips, snacks and popcorn. Refreshed, cut loose back on the dance floor until your cruise returns to the departure point, leaving you pumped to keep your party going.